Moreover, Pastor Tokes has himself become the subject of scrutiny. 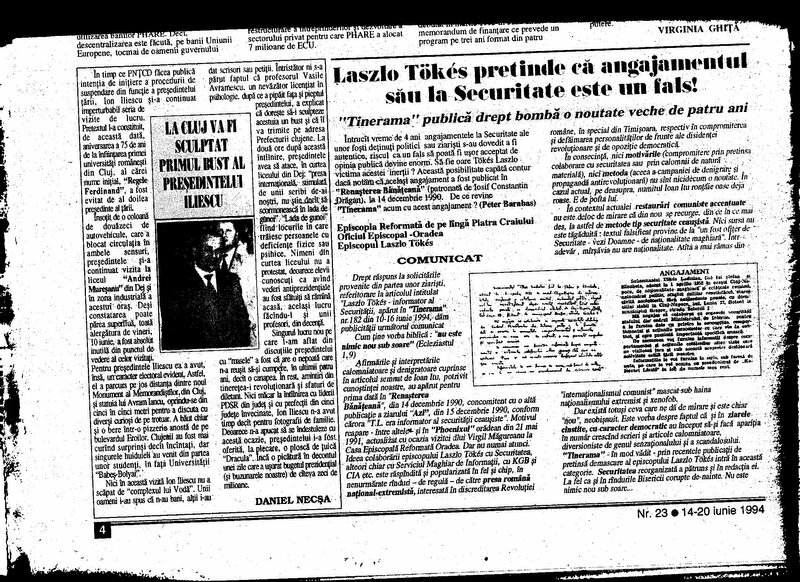 In 1994, the opposition weekly Tinerama published documents it maintained revealed that ever since the mid-1970s Pastor Tokes had been an informer for the Securitate. Well-known journalist Ioan Itu hinted that the revelation of this fact meant that the story of December 1989 needed to be completely reconsidered in light of this new information. significantly, Itu didnt just collaborate with just anybody, but–like Sorin Rosca Stanescu–precisely the USLA, from 1978 to 1983 ! 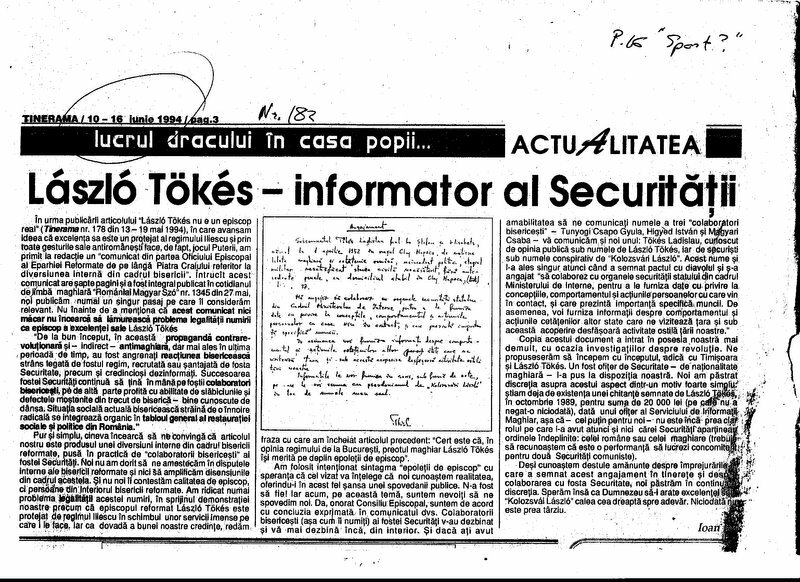 The following article, in which Itu exculpated the USLA (Securitate) and attempted to cast blame instead on the DIA (Army)–in part by taking out of context the communication that is recreated–has been used by Dennis Deletant, Peter Siani-Davies, and others to suggest how original understandings of the December events were erroneous. In twenty years, there has not been a single confirmation that at this moment “army units were attacking their own Ministry” as the article suggests.